Geoff Berman, Vice-President of DSI, joined DSI in 1997 and is located in our Los Angeles office. Prior to joining DSI, Mr. Berman was with Credit Managers Association of California for 11 years, where he was the Manager of the Adjustment Bureau and a member of the Association’s senior management. Mr. Berman served as ABI’s President from April 2011 to April 2012 and before that as its Vice President of Publications, with oversight of the ABI Journal and other publication projects, and as a member of ABI’s Executive and Management Committees. He chaired the Task Force on General Assignments, and wrote the ABI manual on general assignments, “The ABCs of ABCs,” which is now in its second edition. 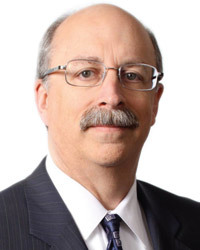 He also served as contributing editor and co-Executive Editor to the American Bankruptcy Institute Journal and has authored a law review article published in the ABI Law Review. Mr. Berman brings over 35 years of experience in the extension of secured and unsecured credit and the liquidation of numerous businesses. He has expertise in all types of insolvency case administrations with a specialty in the area of general assignments for the benefit of creditors (in various businesses and industries including wholesale seafood, retail auto parts, various manufacturing concerns, wholesale nursery operations, and high tech companies) and liquidating and creditor trusts under Chapter 11 Plans of Reorganization. Mr. Berman, a certified mediator, is on the Bankruptcy Mediation Panel for the Central District of California as well as the Register of Mediators for the District of Delaware, and he has served as a Federal Court Receiver. Mr. Berman currently serves as Trustee of the USACM Liquidating Trust, the post-confirmation estate for USA Commercial Mortgage in Las Vegas, Nevada. In that capacity, Mr. Berman is responsible for prosecuting causes of action against the principals and professionals in an effort to recover millions of dollars for the benefit of thousands of direct lenders to the company. He is also the post-confirmation trustee for the Syntax Brillian Corp. Liquidation and Lender Trusts, as established by the confirmed plan in these District of Delaware cases. Mr. Berman has also been responsible for the administration of numerous other post-confirmation estates, including the Sizzler Restaurants International, Inc. Creditor Trust, WATTSHealth Foundation Creditor Trust (resulting from a state court conservatorship) and Horizon Natural Resources Liquidating Trust and Vista Hospital Systems. Mr. Berman has also administered the liquidation of numerous businesses through general assignments, including Howard and Phil’s Western Wear, Granny Goose Foods, Inc., FHC Medical Group, Inc., Franklin Press, LLC, Medical Selfcare, Inc., Avian Farms, Inc. and Avian Farms (USA) Inc. and a number of high-tech/dot.com companies including Red Herring Communications, Inc. and Broadband Interactive Group, Inc. In addition, Mr. Berman has served as Examiner and Federal Court Receiver. Mr. Berman has previous experience with Union Bank (of California) and Mitsui Manufacturers Bank. He graduated with honors from the University of the Pacific, Stockton, California in 1975 with a degree in business administration (accounting and finance) and wrote an Undergraduate Honors Thesis in Finance. He also has a Juris Doctor from Southwestern University School of Law, Los Angeles, California. He is also member of the Los Angeles, Orange County and Bay Area Bankruptcy Forums and the Association of Insolvency Accountants, and is a frequent lecturer on bankruptcy and insolvency subjects.